One of the things I direly miss from my homeland is car culture. At home, there are car shows frequently, as well as track days. There's a camaraderie in those places that you dont find elsewhere. I'd have to say that California is probably the hub of car culture for the US, due to the sheer number of tracks and canyons to carve. But in most cities of a decent size you can find clubs, tracks, meets, cruises, etc... and although I appreciate Matt Farrah, Chris Harris and the other guys from /Drive, watching it on Youtube is a poor substitute for really being there. Europe has a definite car culture. The Brits, The Germans and The Italians have all made some of the most iconic and powerful machines the automotive world has ever seen. 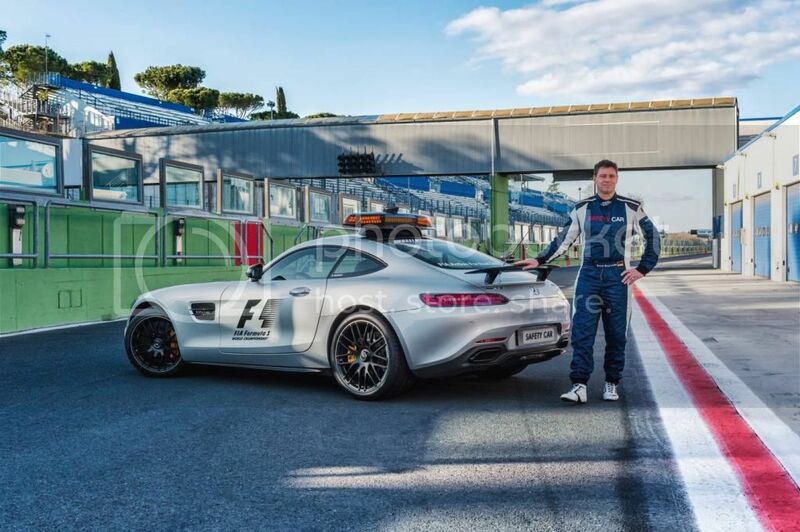 It's still on my to do list to do a hot lap on the Nurburgring. But sadly, in the places I've looked to live once I've made enough money to settle, there just seems no car culture. Not much of one anyway. I mean, there's now a track here in Buriram, but god knows if they'll ever have any open track days. Just wondering if there's any place I've overlooked? Maybe somewhere that has a few short tracks... or ones within reach... and cars are affordable because the govt doesnt slap anything with 200HP with a 300% tax... maybe Brazil? High crime place, but might be good for car culture. Why the hell didnt any of those 80's drug lords use some of those millions to build a few tracks in Columbia? That might've been nice. Anyway, just thinking out loud after another day of watching vids, missing seeing muscle cars, or even track prepped beaters on trailers... you look and you think "someone's off for a day of fun! ", even if their car looks like hell- they're off to the track! Last edited by WarProfiteer; 4th March 2015 at 19:01. Wow little do you know!!! Yeah it exists but affordable rear wheel drive cars are near non existent.. 600 or 800k thb for a 20 year old mr2 MX5 or sx200.. The price of E36 beemers has come down.. I could actually see one of those with a 2.8 engine swap or a 2JZ being a fun hoon car and coming in not that far over 300k.. Still pretty old motor but hey, its an option. But even those old ones a 2 door coupe is hens teeth and double that money. The lack of toy cars here is something I really feel..
Loads of tracks.. Chiang Rai is sadly too small for good car use.. But theres off the top of my head.. Keang Krachan.. The Chang circuit in buri Ram.. Bira.. Bonanza..
Then as G says Drift is big.. There was one recently in CNX and an active CNX scene.. Less so Gymkhana up here I think, it toured up here but theres much more drift focus. I have recently become aware of Thai off road racing.. using suzuki jeeps torn down and made into tube buggys or purpose made buggys.. I estimate you could make a decent buggy for 200 - 300 and have both 4wd jungle crawling and in 2wd mode a bit of fun drifting the dirt trails.. I am considering doing one to make up for not riding this year.. Looked at a couple in the last couple of weeks but they have all beeen 'nice' ones and I want to take an angle grinder to the body and throw away the actual 'car' so would be better off with a rough one. Saw a really cheap one but over near mukdahan or similar. Then of course theres the street circuits stuff like Bang Sean festival of speed.. Theres pickup racing.. A few things like that..
Thats the Chiang Mai drift groups page.. I actually think this could be some serious fun..
BTW I have been thinking of starting a piston heads thread myself for the last few weeks.. Ever since Dawseys tuning thread.. Such a wide topic.. tuning for power, drag, racing, drifting, general road hooning.. Off road.. Loads of fun in loads of ways..
Yeah, this is a huge problem... it might be kind of fun to have a well powered, decent handling ride here to shoot along the mountain roads... nothing crazy... but an E-36 with a bit of tweaking could be real fun. If you do, pm me a link . As a side note, one guy I know quite well topped out at 212mph on the Autobahn with his highly modified Merc CLS55. He has squeezed 702BHP out of it with uprated head bolts and transmission to prevent it breaking. Same engine as mine. Not bad from a 4 seater family saloon! Apparently mine is only good for 185 in its current state. Not that there is anywhere to do it apart from a track day. Thats sort of what I mean that theres such a wide selection of goals and desires.. I would say from the extremes I am more into a cut down ultra low weight MX5 (the new one is soooo appealing at western money) than huge power saloon.. Its the handling and balance, the trying to control a car past the point of traction and still being able to slide it around on the edge.. But thats the great thing, theres everything from power tuning, weight trimming, show and shine, race preping a LeMon, etc etc. Buddies back in the UK do that LeMon racing.. Ultra low budget cars purely for the fun.. Seems such a blast and on the kind of money you can blow in a weekend in bangkok. I have seen a couple of 'cheap' e36s lately and thougth about them.. But all 'more doors' which is a downer and none with 2.5 or over engines.. The 2.8 straight six in those is a gem and finding one with a blown engine even cheaper would present all kinds of options. I have seen a 2JZ shoe horned into one.. A 300 - 400 hp ultra lightweight little thing. Some guy got in touch and tried to swap an e30 with a 2jz swap for my KTM but it was an unfinished project so basically a disaster.. Wouldnt give him more than 50 or 80 even if it is 150ks worth of bits. e30 looking very dated now but a bodywork guy in bangkok makes 'fake' M3s.. Those look hot !! Last edited by LivinLOS; 5th March 2015 at 07:43. I have also drooled at the thought of doing LeMon racing... that just looks like amazing fun for peanuts. It's those front engine, rear drive cars... that's just what I am comfortable with... at the Skip Barber School, I tried doing laps in the Porsche... twice... and the nose certainly is laser precise when you turn in... zero plow... but it just didnt ever get to feeling right, so I opted for the 350hp Hyundai Genesis instead. Never tracked a 911 but driven (and damaged ) a couple of road ones.. A lovely 993 which would be my perfect one car everything given a choice. 996s in the UK can be found very cheap, tho you need one thats had the IMS shaft thing done as they grenade a lot if that hasnt been seen to. The way you cant back off in the earlier ones without the tail trying to get past you is 'interesting' to say the least.. stay committed or the weight balance goes very wrong. BTW have you seen the values on air cooled porsches lately ?? holy crap !! All kinds of classic motors have sky rocketed in the last few years.. Knock on effect of QE and banker bonus's IMO. Yeah, I think if I had the extra dosh just laying around, a 996 (esp a turbo) would be a solid investment right now. I saw an episode of After/Drive where they talked about it and everyone excitedly agreed. Hell, even my father and I talked about it a year ago... how the air cooled Porsches have gone dear and the next gen will likely be the next ones to sky rocket in value. I cant see the 924/928/944 ever becoming much, but the 911 is just such a collectors car... such a safe way to go in terms of value. This why I need a piece of property... like, at least 2-3 Acres... with a large workshop with enough space for 2-3 cars and a few bikes. One collector/classic car for value/enjoyment, 1 car for track days- either a POS or maybe a modded cup car type vehicle... and maybe a older truck to haul them with. On bikes... 1 for dirt (CRF/KLX), 1 for road when 1 up (Monster? Z800?) and 1 for touring 2 up (Multistrada). You can find (risky) 996s at 7k gbp.. 350k thb.. by 10k gbp you can get ones with the IMS shaft rebuild and used but clean. With the older 993s looking at maybe double that I agree, thats a car that will do well. The 996 got such an awful rep due to the grenading and the headlights.. But its still one hell of a lot of car for that money. Also in the UK.. Z4 3l for 3k really special ones with hardtop etc for 5k.. SLK350 (6 speed manual only one) is a lot of car at 6 or 7k, and a real different machine to the 200s you see here. Would love to be able to source written off Thai cars and (cough) 'rebuild them' with a UK donor. Been trying to establish a source in the insurance for this for years without any success. You just know Thais will have that sewn up, so lucrative. 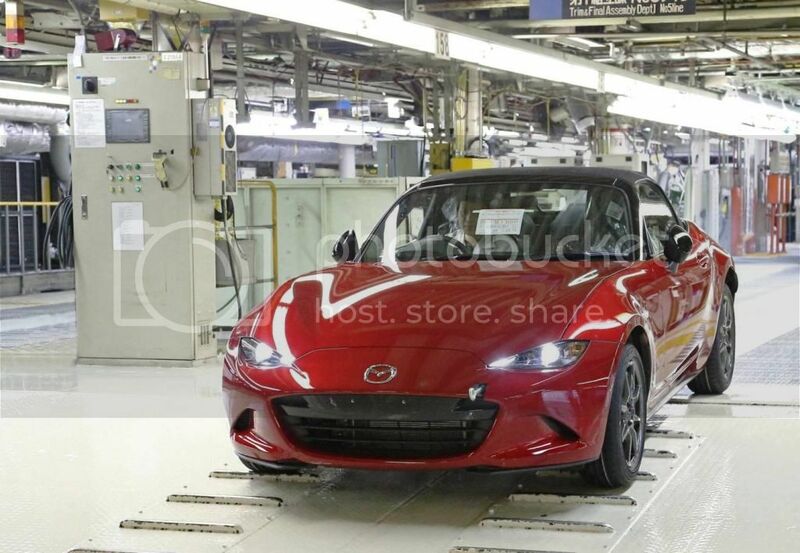 HIROSHIMA, Japan: Mazda Motor Corporation today began production of the All-New Mazda MX-5 two-seater lightweight sports car at Ujina Plant No.1 in Hiroshima. The first models produced are destined for the Japanese market. ... Sales of the All-New MX-5 will begin in Japan around June this year. Following sales start in Japan, the MX-5 will be progressively rolled out to overseas markets. The MX-5 is an iconic model representing Mazda's vehicle engineering philosophy: the pursuit of driving pleasure. With production exceeding 950,000 units as of the end of January 2015, the MX-5 continues to hold the Guinness World Record for the world’s best-selling two-seater sports car. In order to respond to ever increasing demands for safety features and environmental performance while maintaining the element of fun that has always defined the model, development of the fourth generation MX-5 was carried out under the motto “innovate in order to preserve”. In addition to incorporating SKYACTIV Technology and ‘KODO - Soul of Motion’ design, development focused on enhancing the senses and sensations through which people enjoy cars. The MX5 ethos encapsulates everything I value about a drivers car, in the 'go not show' kinda way.. Its super light, super precise, all about handling over power. is exactly what I find appealing in a drivers car. Sure theres more luxury, theres better build, theres faster theres all kinds of things. But as a reliable daily driver, its all the right boxes. The new one even loses the overly cute styling and can apparently fit a full sized male without the circus bear in clown car look. I hear it will be 2.6 million here.. High but not unreasonable for the market. Just knowing cars like this are 10% of that at home makes it so hard to commit. Mate of mine just bought a 2nd hand MX-5, no details on year, price etc. Won't see him until we all meet in Sydney next week. Sound like It'll be his Sunday fun car.